“His goal is to uncover and expose the outdated and racist policies and practices on college campuses and the implications it has for African American students,” B.J. Keefer, director of student engagement and leadership development, said of the lecturer and best-selling author. One of these students, Savannah Doane ’19, is helping coordinate Ross’s visit to Lynchburg. “When I was trying to decide what speaker I wanted to bring to campus this semester, I wanted to bring someone that I thought had a powerful message that could truly make a difference on our campus and would truly make attendees reflect internally,” Doane, said. She said, however, that attendees should be ready to get out of their comfort zones. “When most speakers speak about sensitive topics, such as racism, they try to make sure everyone is comfortable and then try not to step on anyone’s toes,” she said. 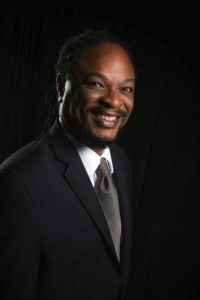 Ross is the author of six books, including the Los Angeles Times best-seller, The Divine Nine: The History of African American Fraternities and Sororities. He has lectured at more than 600 colleges and universities. He has a Bachelor of Arts from UCLA and a Master of Fine Arts in screenwriting from the UCLA School of Theater, Film, and Television. His lecture at University of Lynchburg is hosted by the Student Activities Board, Student Government Association, Panhellenic Council, and the Office of Equity and Inclusion. It is presented in partnership with Sweet Briar College.